Accidentally sit or lay down on top of your down or down-alternative comforter and you will likely notice the comforter flatten in that area. 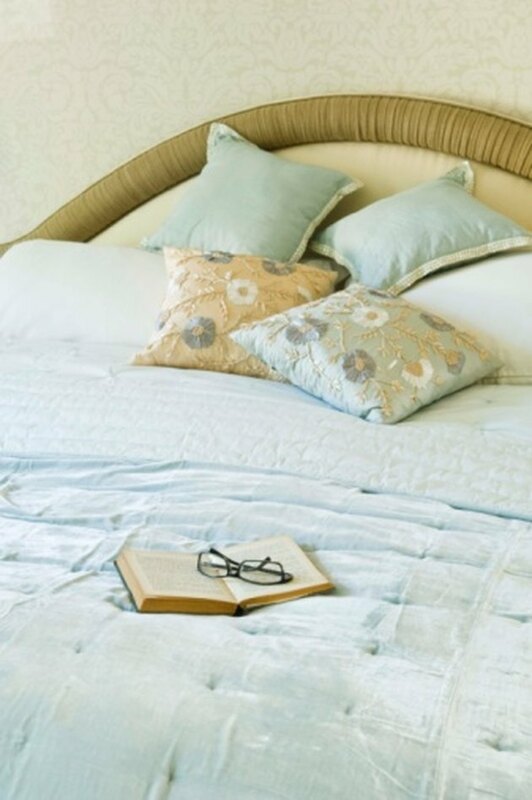 Down is especially susceptible to flattening under weight, causing your comforter to look lumpy and unattractive. To remedy this problem, you can simply re-fluff your comforter with a few techniques, one being using a tennis ball in the dryer. Keep your comforters looking exceptional with simple re-fluffing techniques. 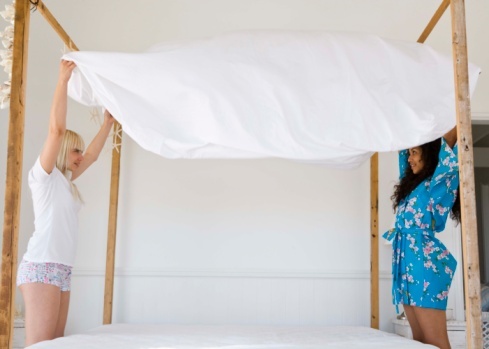 Shake and fluff your comforter each time you make your bed, ideally once a day. This helps introduce air into the comforter to expand clumps of down or down-alternative. Hang your comforter outdoors on a clothesline a couple times each year or each week to remove odors. Choose a windy day so the breeze will fluff the comforter as it hangs. Clean and wash your comforter according to the manufacturer's instructions. Dry it in a large dryer at a laundromat so you can fluff the comforter and give it lots of room to dry thoroughly. Place three or more clean tennis balls or a clean tennis shoe in the dryer to help fluff the comforter and prevent it from matting and clumping. Dry the comforter a second time to ensure no damp feathers or down-alternative clump together. Leave the tennis balls or shoe in the dryer, clean out your lint trap and turn the dryer back on for a second run.